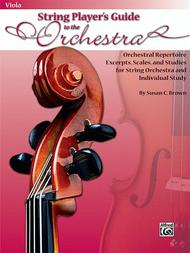 Orchestral Repertoire Excerpts, Scales, and Studies for String Orchestra and Individual Study (Viola). Composed by Susan C. Brown. Method/Instruction; String Orchestra Method/Supplement; Suzuki. Book. 52 pages. Alfred Music #00-30104. Published by Alfred Music (AP.30104). 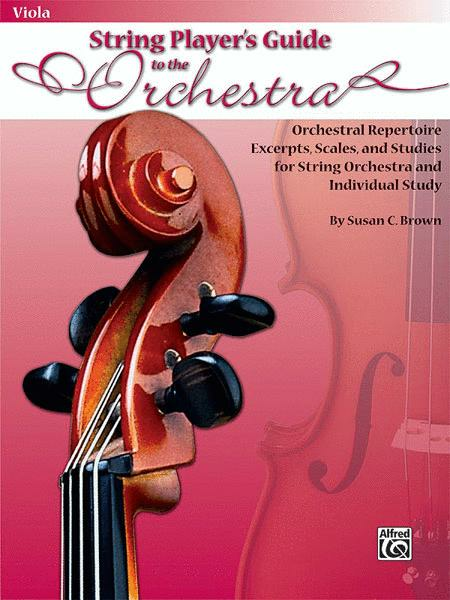 The String Player's Guide to the Orchestra includes orchestral repertoire, excerpts, scales, and studies for string orchestra as well as individual study. The works may be played individually or in ensembles and the music selections work within a wide range of student ability levels. The book focuses on phrasing, technique, and musical styles and provides a unique entry into performance music preparation with right- and left-hand studies using authentic orchestral excerpts.